If you stumble upon this post, you now know you can play Colour Runner on Android or IOS, but what you don't know is that the game about a Chameleon changing colour was created by a young student on the bottom of a world, with no previous experience in making games, a keen interest in playing games and with an original idea that he had never seen before. It started with a super simple idea, a cube that could change colours. At this stage a friend came on to the project. So with a simple idea, we worked hard. We put weekends and time after university to complete a game we could be proud of. We expanded the square and made a Chameleon called Pablo. Hats! We added Hats as rewards! We have had several thousand downloads of Colour Runner. Our Return on Investment is negative. We released Colour Runner for free with ads. We wanted to show the world our work and we hoped get enough attention to fund our development. Dreaming to make enough to work on the next project. For reference the ad company we went with has a minimum threshold for payout of $50. As of today our Android and IOS Revenue is as follows. Despite this I am not regretful to have put in so many hours into the project. 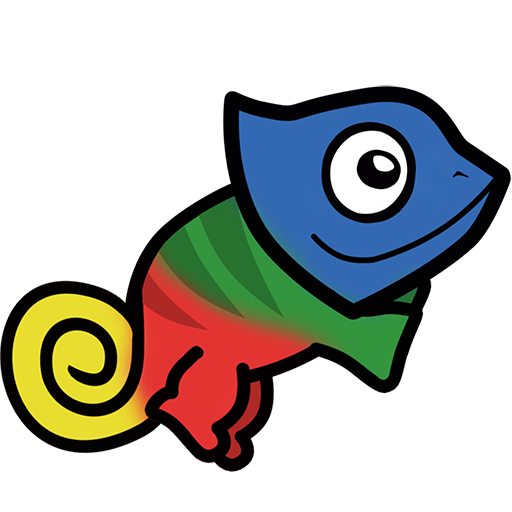 Recently a game called Chameleon Run was developed and released. It follows the same mechanics as our game. Over time I have seen many games with similar mechanics to ours. The earliest i have seen was Hue Runner from 2011. Nothing that was a mechanically the same that had any production value. Until recently. I did not know how to react to a game with the same idea as ours doing so well. I felt cheated. I wished it was us to have received the spotlight. Separately, it brought up feelings of wishing that we had made a single cent from our work. I have thought long and hard about this and this is how I have come to terms with it. In the couple months of thinking I had. I have gone through a wide spread of emotions. It took me time, and a lot of thinking. I have concluded that Everything is a remix. I have to let go of the feeling of jealousy. I am proud of our game. In the end, I will not regret our passion and hard work.